University of Nottingham > Blogs > Future Pharmacists > summer placement > Jetlag and summer work experience! As this is my first post, I’ll start off with a quick intro. 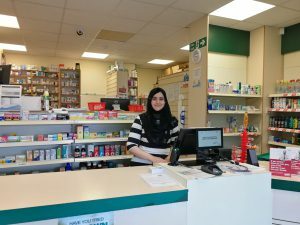 I’m Hadia, 20 years old, and I’ve just finished my first year of the MPharm course. I say ‘just finished’ but really, summer holidays started back in June, and there’s still a little over a month left before university starts back up again. That’s one of the biggest perks of university life, I’d say! Four months of holidays with not much to do can be quite boring. Of course you can travel and hang out with friends and family, but I would recommend getting a job or doing some work experience at a pharmacy as well. I know it’s still early in the degree, but honestly, any experience helps a long way. This year, I decided to make the most of my summer. Travelling since mid-June, I got back home Sunday afternoon, 13th August 2018, and then the next day, Monday morning at 9am, I was there at my local pharmacy to start work experience, jetlagged and mega tired! It’s nearly the end of my first week there and I’m counting down the minutes until I can stay in bed all day over the weekend haha. To say I’ve been busy would definitely be an understatement. Four days in, and I can already say that it’s an eye-opening experience for me; there’s just so much to learn and a lot of these things can only be learned if you do them physically rather than learning about them in theory at university. I got extremely lucky and got placed at a pharmacy with amazing staff who are eager to teach me how everything’s done. First day started off comparatively easy, with me observing and doing smaller tasks. Each day after that added on to my tasks, until today, the fourth day in, I was running the dispensary like a pro with the rest! 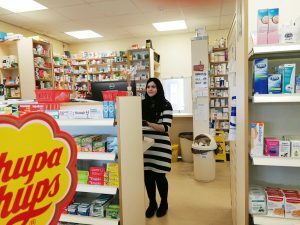 From printing electronic prescriptions along with its labels, endorsing them and then dispensing and bagging the medicines for delivery (after the final check by the pharmacist), to ordering more stock and then restocking shelves with the deliveries, I did it all. 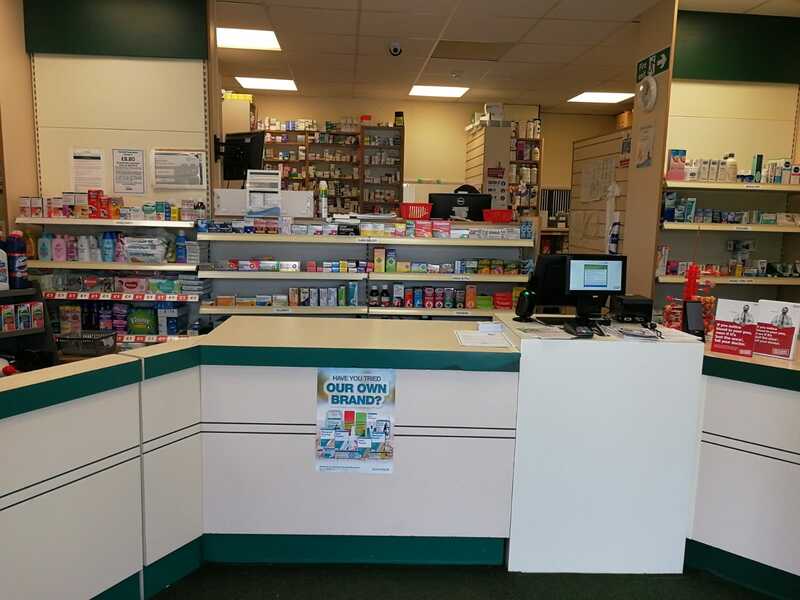 Another special thing about this pharmacy is that due to it’s location in a deprived area, a lot of the patients are using the NHS needle exchange scheme and/or are in treatment for drug addiction, therefore, have prescriptions for methadone. Dispensing those out is definitely interesting. I’ve still got 4 weeks to go, so I’ll keep you all posted about how the rest of my time goes. Until then, Assalamualaikum (peace be on you) and good bye!